Interview with Brian Clune who is a co-founder of the Planet Paranormal Investigations, and author of several books including his latest release Hollywood Obscura which looks at all the mysteries and supernatural events in Tinsel Town. Brian Clune is a historian and the co-founder of Planet Paranormal, as well as the author of California's Historic Haunts and Ghosts of the Queen Mary. His love of history has led him to volunteer at both the USS Iowa and Fort MacArthur Military Museum. 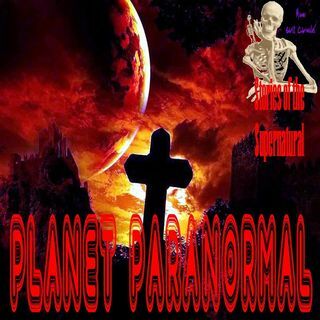 His involvement with Planet Paranormal has led him to be involved with many TV shows including Ghost Adventures, Ghost Hunters, The Dead Files and My Ghost Story. He was also the focus of a companion documentary for the film Paranormal Asylum.